The Golden Gate Bridge is among my favorite bridges, when it comes to photography. The coloring and the scenery always give such a beautiful portrait. 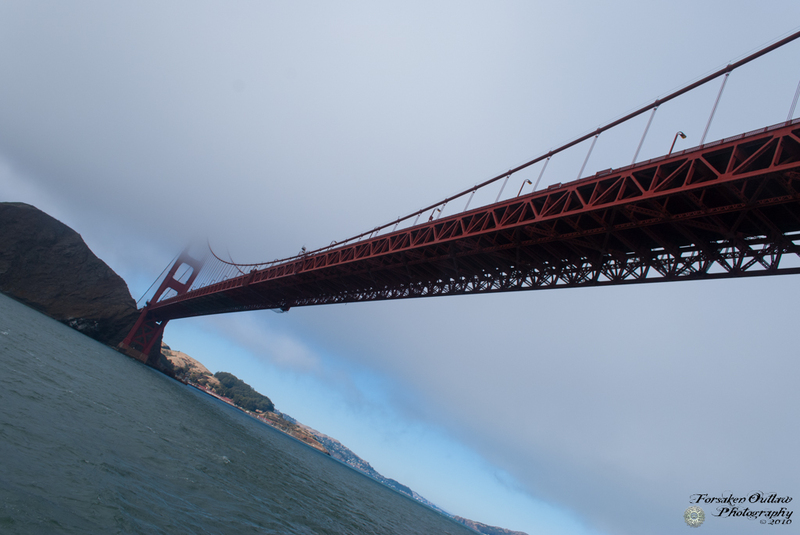 This photograph was taken on a bay tour boat from underneath the bridge. I wanted to capture the whole span so I twisted the camera and my body while on the bow of the ship to capture this shot.